Concours Public Works NASPW Yaounde: Year 1 Architecture: 75 students. 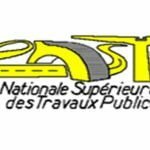 No 1034 C/MINESUP/MINTP/ENSTP 28 Juin 2018. The examination shall take place on 10th Septembre 2018 as from 7:00 am prompt.